Falls among the elderly are especially dangerous. More than 2 million people are injured annually at cost of nearly $30 billion in medical care according to the Centers for Disease Control and Prevention. Now, a new study finds that many of those injured people are not getting the emergency care they need. 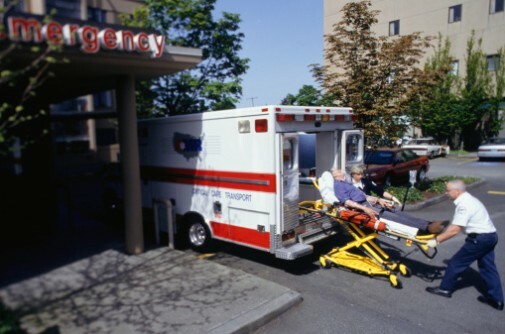 Researchers found that many elderly patients are ending up in non-trauma facilities when they should have been taken to trauma centers. The findings are published in the October issue of the Journal of the American College of Surgeons. The reasons aren’t entirely clear, study leaders said. Part of the issue may be that emergency responders may be underestimating the severity of the wounds. Study members analyzed data from emergency calls on more than 6,000 patients, 55 and older, who sustained injuries and were admitted to the hospital between January 2006 and December 2007. That data was compared against discharge reports, emergency department records and death certificates among other measures. Patients treated at non-trauma facilities had a 60-day mortality rate of 9 percent compared to 5.7 percent for those treated at trauma centers. Those brought to trauma centers also had shorter hospital stays overall. Study leaders hope the findings lead to better care for those who need it most. Some next steps should include research exactly what factors determine where the patient is brought for treatment and how to better evaluate their condition.